Make hands-free calls and watch video on a 7' touch screen and enjoy your music collection from different sources. Additionally, you can access apps on your iPhone 4S/5 on the screen using Advanced App Mode, just like on the Pioneer AppRadio. 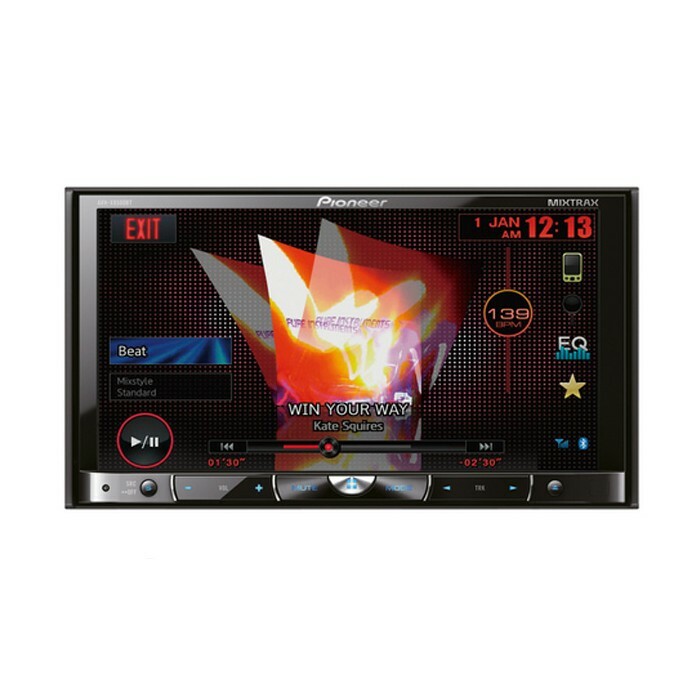 The Pioneer AVH-X8500BT is an audio/video hub in your car with all functions easily accessible from the stunning 7' touch screen. Enjoy your music and film collection in almost every popular format, including CD, DVD, MP3, WMA, AAC, and DivX. On the rear panel, you'll find an auxiliary input and dual USB inputs so you can easily connect your iPod, iPhone or other devices. 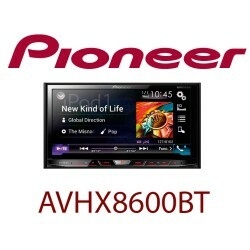 The Pioneer AVH-X8500BT features a HDMI input and is therefore one of the first car AV head-units to support both video and app modes for the latest iPhone 5 and Android handsets (optional connectivity kits required). Great stereo. Good quality bluetooth sound, good quality picture.. Steering wheel controls operate when using bluetooth. Plenty of safety features. After the last one got stolen, I'm much happier beong able to remove the front cover. How do i get the gps navigation system to work or installed? Will this fit in place of the odd shaped stereo in a 2008 vivaro please? 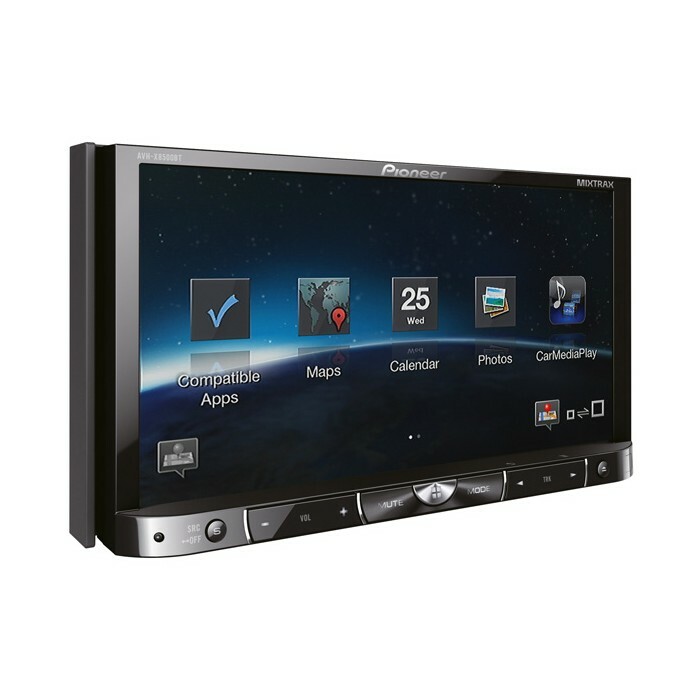 This Pioneer AVH-X8500BT can be installed in your Vauxhall Vivaro. I would suggest you visit your local store for all the parts. Will this system work in a 2010 Kia Sorento KX-3 which has OEM steering wheel controls ? Will I need to install any extra equipment ? 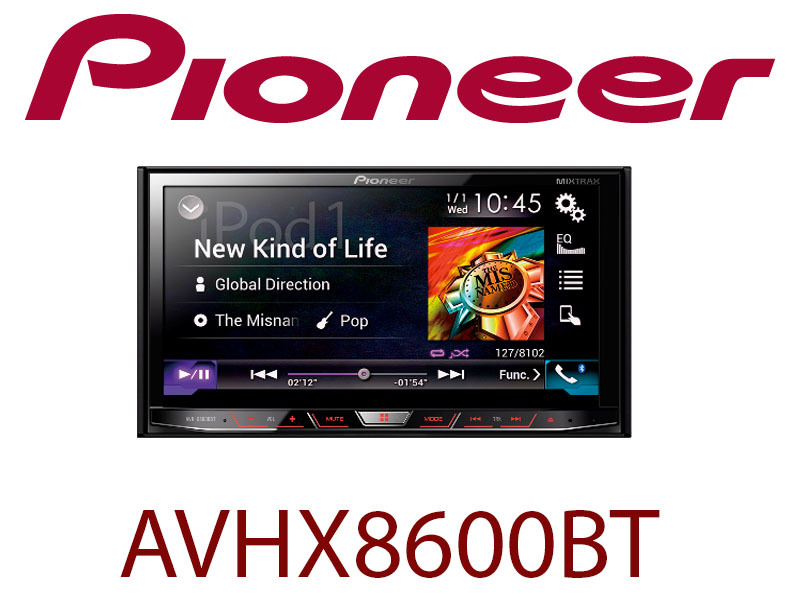 This Pioneer AVH-X8500Bt can be installed in your Kia Sorento. You will need the below listed parts . Steering control interface is also listed below. This is the correct panel. The pocket is removable to make it a double din. you will need ct24vw03 facia ctsvw002 and ctpioneerlead and ct27aa14 antenna adaptor to fit this into your golf . I have a 2006/2007 Subaru Impreza, and was wondering what extra's, if any, will be required to fit this head unit please? Will this unit fit my gti ? If not ,what accessories will be required ? Where would be the best place to take and get the unit fitted ? I see that this stereo is iPhone 5 compatible which cable will be required to allow the iPhone to work. My Juke doesn't have steering wheel controls. Is this part still required? Will the standard juke wires connect to this unit?